The Veterans Florida Entrepreneurship Program helped this veteran turn his business ideas into reality and eased his transition into civilian life. Scott Neil, 48, a former Green Beret and advisor to Special Forces, had been warned repeatedly about the high degree of sacrifice and effort it would take to launch and run a successful business, but he wasn’t in the least bit daunted. He and the five other men who joined forces to form Tampa, Florida-based craft distillery, American Freedom Distillery, are all former Green Berets who have extensive experience dedicating themselves to complex missions, surmounting extremely difficult obstacles and accomplishing goals. Scott was one of the first Green Berets to go into Afghanistan following 9/11 and, in 2003, one of the first to be sent into Iraq. Afterwards, he pursued foreign fighters in the Horn of Africa and, in 2006, was assigned as the Senior Enlisted Advisor to the Director of the Special Operations Interagency Task Force at MacDill Air Force Base in Tampa, which focused on the country’s policy and strategy of counter terrorism. Scott retired at the end of 2010, returned to Afganistan for a year as an advisor to General Petraeus, then spent two years as the Director of Development for the Green Beret Foundation where he developed The Next Ridge Line, a transition program for Green Berets leaving the military. Though Scott’s business launch preparations were well underway when he made the decision to undertake the three-phase Veterans Florida Entrepreneurship program at Hillsborough Community College in Ybor City in Tampa, he saw the instruction as a way to fuel his transition into civilian life and help him put into action concepts he had espoused while developing The Next Ridge Line transition program and advising the Senate Committee on Small Business and Entrepreneurism. “When I was transitioning, I already knew I was going to get into business,” Scott says. “But I was having a hard time changing my mindset from an enthusiastic veteran starting an enterprise into an entrepreneur who needed to know how to create profit and loss statements, understand the necessity of developing a business plan and learn all about prioritizing the customer. The Veterans Florida Entrepreneurship Program gives the veteran who has an idea he or she wants to take to market a solid framework for accomplishing that, along with a healthy dose of reality. Military veterans are all about planning. The online courses gave us the structure and mindset we need now.” While pursuing the coursework and classes, Scott was able to see how the skills required for certain military tasks, such as intelligence gathering, parallel the sort of analysis needed to shape an effective business plan. Scott found particular value in the inaugural program’s second phase—the three, in-class weekend sessions when the participants and instructors met face-to-face. “After doing the first phase on our own online, we got together with mentors and speakers in weekend workshops,” he says. “This helped us understand where we were with our business ideas and plans, and, as a result, we were able to accelerate them. The personal passions of other program participants fascinated Scott. He speaks animatedly about a classmate who had started a catering business for the Jamaican community, one with an idea for an app matching users to community business mentors and coaches, and another whose cupcakes had sparked an avid following on military bases. “This program is a great step forward,” says Scott. “Traditionally, veterans in the community have been told that they’re broken and that somebody else needs to do something for them. This is a way for you to put yourself into action—not wait for a donation or quietly wish that you could be doing something else. 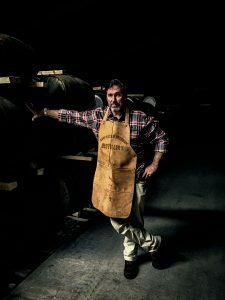 Scott’s team is presently self-funded and they have been hard at work mastering their craft and making their products at veteran-owned distilleries throughout the country and abroad (they recently partnered with a distillery in Scotland). Their whiskey product is called Rekker, an old Norwegian Viking term meaning wanderer. Scott and his partners selected the name to evoke the free spirit and lifestyle of Green Berets and also convey an old-world sensibility. The name is spelled the same backwards as forwards, which helped provide packaging and labeling design flexibility. Scott is now focused on the future. “Once our facility in St. Petersburg, Florida is built, we’ll instantly be able to bottle our vodkas, rums and gin,” he says. “We’re about ready to go to Poland to develop our vodka recipe. We envision a day when the consumer of spirits and mixed drinks will be anti-big brand and favor local makers and products, just like craft beer consumers do now. The formulators of the Veterans Florida Entrepreneurship Program gleaned important insights from the inaugural program that Scott attended and have implemented some modifications. The next version will comprise two phases: The first, a 15-week educational phase combining online coursework with in-class training on Saturdays; the second, a mentoring phase during which participants will have access to ongoing business guidance provided by local Florida SBDC consultants and business leaders. Visit the Veterans Florida Entrepreneurship page to learn more and register. This entry was posted in Entrepreneurship, Learn, Work. Bookmark the permalink.